Studio Miessen was invited by Defne Ayas, Witte de With’s Director, to analyse the unique building of Witte de With, devise a series of space-specific interventions throughout the building, and re-develop its street-level presence. These new settings provide a tailored, yet open platform to stage and host discursive events, bringing the many different artists and projects closer to the audience and offering a versatile means to reflect on artistic creation. Taking its cue from the history of Witte de With’s building, originally erected as a girls’ school in 1875, and later renovated into a technical school in the 1970’s, the Berlin-based collaborative agency Studio Miessen has developed a multitude of reflexive spaces that punctually intervene and activate specific areas across this 19th century construction. Through these interventions, spread over two floors and at the entrance, a space has been created that reflects the structures used in the educational system to structure an open and flexible space. 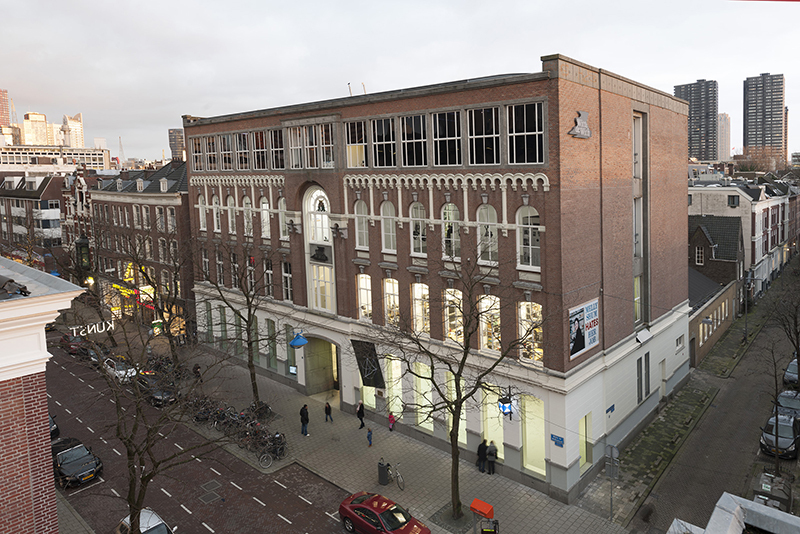 The windows at the front of the building are now 4.5 meters tall, the main entrance has been revamped and the shared public facilities on the ground floor have been redesigned. On the first floor, visitors will encounter the Consensus Bar, a temporal dark space that functions as a shared space for social gatherings and events. Furnished with simple wood bench structures and a white fading smoke ceiling that rejuvenates every hour, the space echoes the structure of a hidden apse. Playing with the historical relationship between religious structures and educational systems, the room’s atmosphere is eerily similar to a religious setting for sacrilege and profanity. 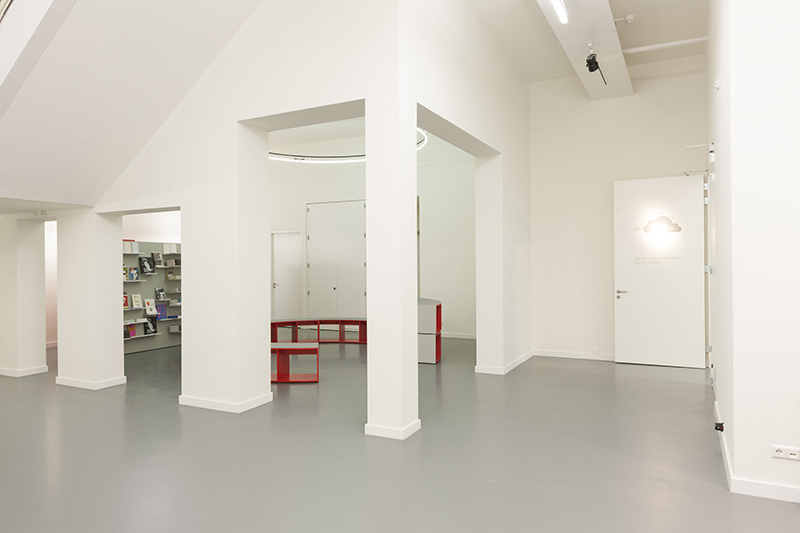 The space is shared with Rotterdam-based TENT. 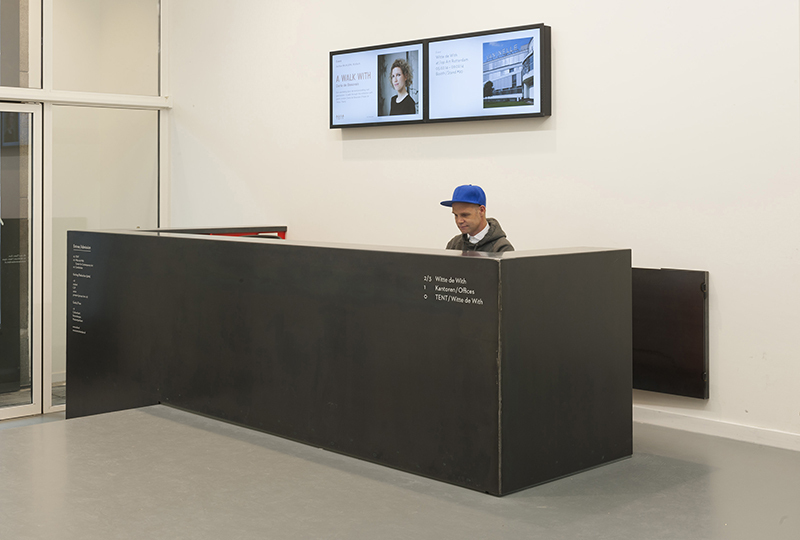 Continuing the journey up into the exhibition floor, the visitor encounters two main spaces divided by the new reception front. In the first main space stands a multi-purpose yellow monolith. This giant modular cube consisting of sixty-four separate blocks constantly mutates in accordance to a series of events taking place in 2012, including Singh’s Causeries. This educational rehearsal space is wrapped by a grey blackboard stripe painted on the wall. The second space houses a massive bleacher covered with AstroTurf, a synthetic field grass. Underneath this structure, an archival space containing publications and video displays has been built, producing an environment that feels simultaneously public and hidden. 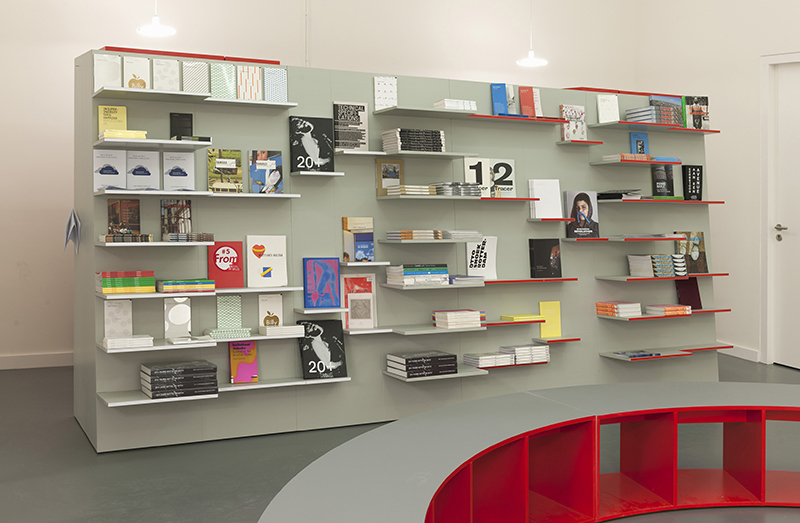 The back of the room also contains a reading table that allows visitors to have a more intimate experience with Singh´s work. Both spaces were configured to allow different activities to occur alongside The Humans, Alexander Singh’s production in progress. Drawing upon both the historical identity of the building as an educational institution and keeping in mind the conceptual framework of the exhibition and future events, the spaces are arranged to reflect the complex relationship between an artwork and the specific environment in which it is contained. 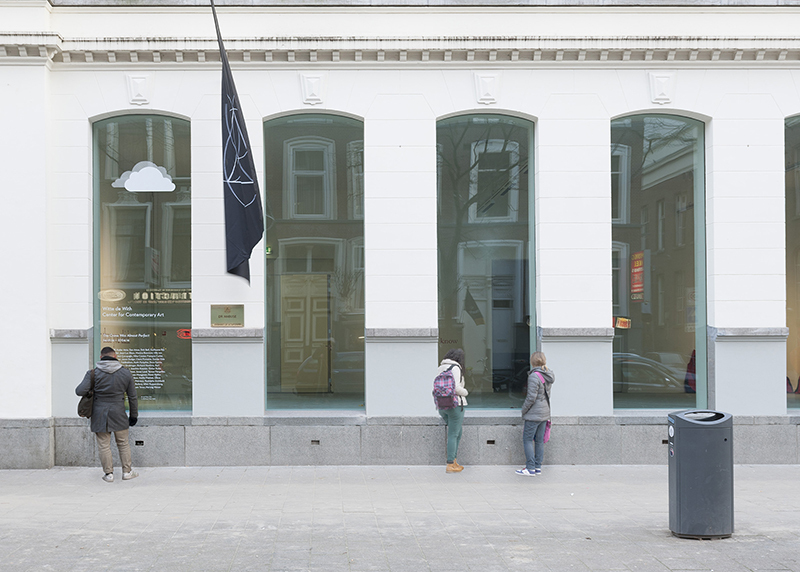 Additionally, the redesigned entrance invites visitors into the new foyer, which utilizes the new identity of the Witte de With design by APFEL (A Practice for Everyday Life). A wall mounted grey metal structure announces the constant programmatic changes, offering different possibilities of display with mobile and interchangeable panels, and elicits an ephemeral and ever-changing condition.